Ways to boost your well-being with a healthy dose of TLC. Keep reading to learn more about these self-care ideas designed for you. 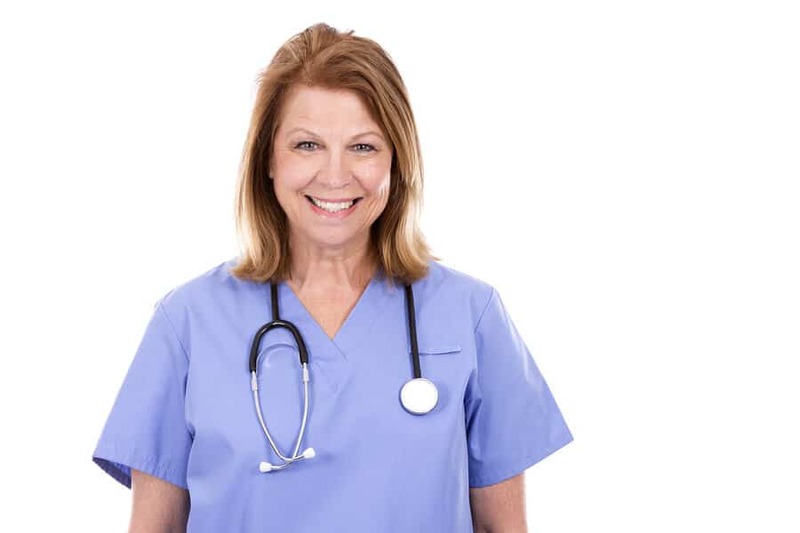 We all need downtime, but it’s especially important for nurses who tirelessly attend to the needs of their patients while managing the technical aspects of the nursing profession. Before or after your shift – or during a break – allow yourself time to unplug. Turn off any audio and visual input and aim to quiet your mind for a few minutes. You may choose to sit in stillness, sip a cup of tea, or incorporate deep breathing or yoga during this peaceful respite that you set aside just for yourself. No matter what your me-time looks like, giving yourself a slow-down break can leave you feeling calm, rested, and restored. Most of us are flooded with decisions we need to make every day – so many that we can struggle with indecisiveness – or worse, make poor choices from lack of energy. Cue the term, decision fatigue. As part of your self-care practice, be strategic about when and how you make decisions. Making important decisions in the morning when you’re fresh, laying out your scrubs and prepping meals the night before, and aiming for “good enough” rather than “perfect” in non-life threatening decisions are just a few ways to help you preserve your mental resources. Get more helpful tips on reducing decision fatigue here. But don’t move because you feel like you “should.” This invitation isn’t about obligation, weight loss, or achieving a fitness goal. It’s about doing something for yourself that feels wonderful. Move because it makes you smile, restores your body, and gives you space to feel like you again – beyond the clinical setting. Make your movement of choice something you love, whether it’s playing fetch with your pup, dancing the night away, taking a short hike, getting your hands dirty in the garden, or turning cartwheels with your kids in the backyard. Any movement that brings you joy will help keep you on top of your game, in more ways than one. At any point during your shift, take a few minutes to evaluate how you’re feeling. Are you thirsty? Do you need to use the restroom? How is your energy level? Taking a mindfulness moment and giving yourself the chance to grab a glass of water, take a bathroom break, or eat a snack can leave you feeling refreshed and ready to return to your day. You may also choose to ask yourself how you feel about your daily routine. Do you wake up feeling rested each morning? Do your food choices make you feel nourished? Is there anything others can do to help lighten your load? Recognizing where attention might be needed and tending to your own needs is a form of self-care for nurses that can make a world of difference when you’re caring for others. Check out our online CE course, Stress Management: Good for You, Good for Your Patient for tips on reducing your stress levels. Fleshing out your vision for your nursing path can help pave the way toward a satisfying career. Whether it’s earning an advanced degree or vying for a lead research or administrative role, pursuing your dreams is an excellent way to nurture your well-being. With a clear road ahead, you can take meaningful action to learn, grow, and evolve your way to the bright future you envision for yourself. Find yourself one step closer to achieving your goals with online CE courses especially for cardiovascular nurses here. If these self-care ideas for nurses have inspired you to nurture your well-being in new ways, be sure to visit our blog often to find more support for you and your career. For exclusive access to valuable resources and educational opportunities, become a member of our caring and dynamic community of nurses leading the way in CVD prevention and management. To learn more about PCNA, contact us online or call 608.250.2440 today.